If you have the want or desire to splurge and indulge in a luxury cruise, that’s fantastic! Here are some things that make luxury cruises truly exceptional and like nothing else! 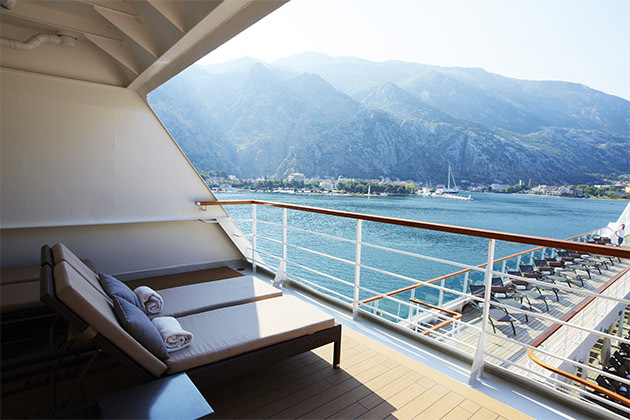 When traveling on a luxury cruise, you can expect to relax and enjoy in spacious suites. Designed with impressive décor, you can have access to butler service, private restaurants, extra amenities, and even more. Your cruise line will mirror your favorite five-star hotel on land, if not exceed every expectation. On board, you will find thermal suites, beautifully decorated treatment rooms, private hideaways for a romantic couples spa, and more! Spa menus are always extensive, accompanied by the very best in amenities and products to add to the plethora of value-added perks. And of course, you can also find high-end fitness centers and workout classes to mix things up a bit, too. You don’t have to be a foodie to want and love quality meals. Luxury cruise ships strive to provide you with the very best of ingredients, quality, artistry, and breadth of choices, from food to wine. There are even some luxury cruises that are food-focused and pair with celebrity chefs to create menus and restaurants that are unbeatable. Whether you have a large group or an intimate party, you can choose from outdoor seating on the deck or tables in the restaurant, the choice is yours. These private hideaways are perfect if you want to relax or socialize. And you don’t have to worry about anything, because your every need will be taken of for you, from your drinks down to your excursions and dinner reservations. You could have concierge services dedicated only to you, complimentary breakfasts, assistance with anything, 24/7, and more.